It sure makes the transition from a year in Rome a bit easier. 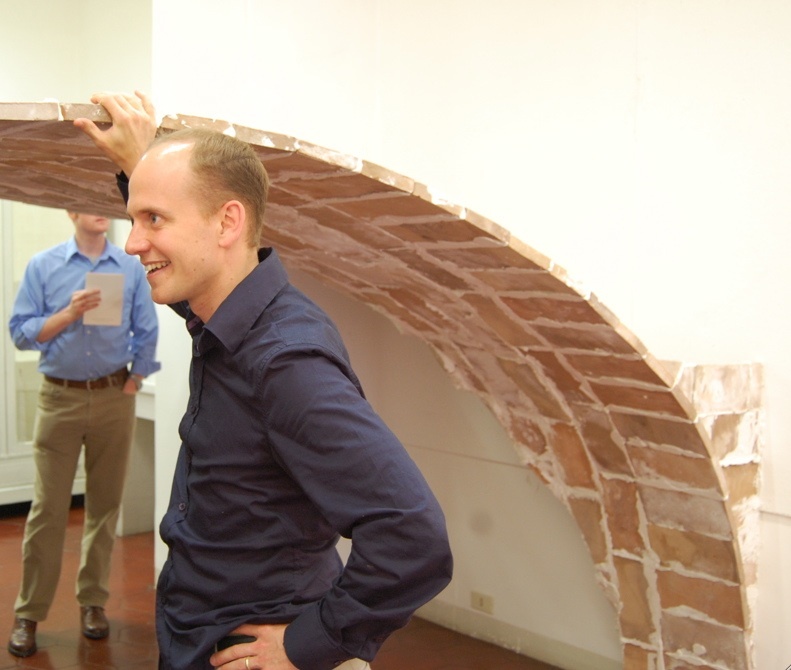 Recent Academy fellow John A. Ochsendorf (FAAR’08), an engineer and architectural historian at MIT, has won one of 25 MacArthur Fellowships for 2008. The John D. and Catherine T. MacArthur Foundation grants this highly coveted award to citizens or residents of the US working in any field, who “show exceptional merit and promise for continued and enhanced creative work.” The current amount of the award—which the Foundation deems “an investment in a person’s originality, insight, and potential”—is $500,000 over five years. The MacArthur Foundation praised Ochsendorf for his work in “restoring structures from the distant past and identifying ancient technologies for use in contemporary constructions.” See the full profile here. Ochsenforf, aged 34, is an associate professor in the Department of Architecture at the Massachusetts Institute of Technology. He returned just months ago from holding the National Endowment for the Arts Rome Prize in Historic Preservation and Conservation at the American Academy. This entry was posted on September 23, 2008 at 8:44 pm and is filed under Uncategorized. You can follow any responses to this entry through the RSS 2.0 feed. You can leave a response, or trackback from your own site.